From making waves with Gigi Hadid on the premiere issue to featuring Halima Aden as the first hijab-wearing model to grace the cover of Vogue to Rihanna as an Egyptian queen, we’ve been hooked on Vogue Arabia ever since its launch earlier this year. 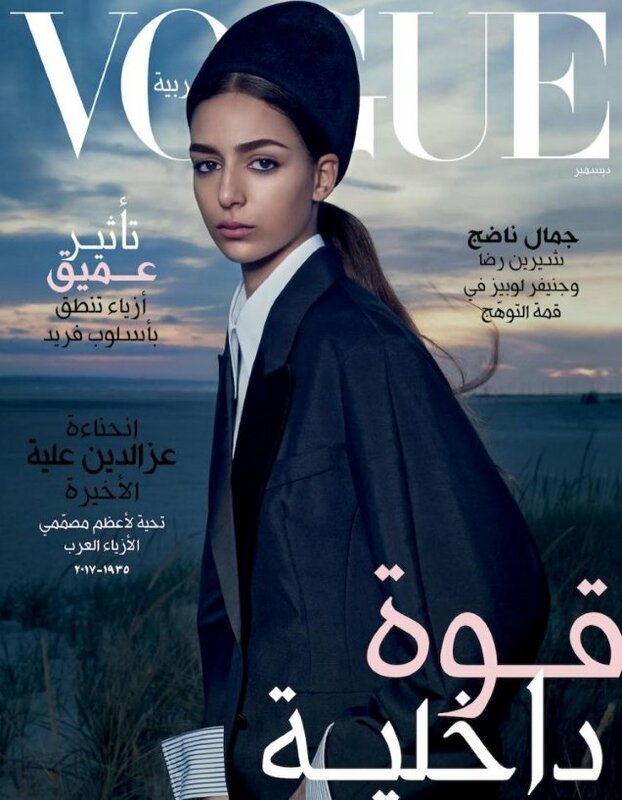 The magazine now gives up its December 2017 cover to Nora Attal, marking the model’s first solo Vogue cover appearance. 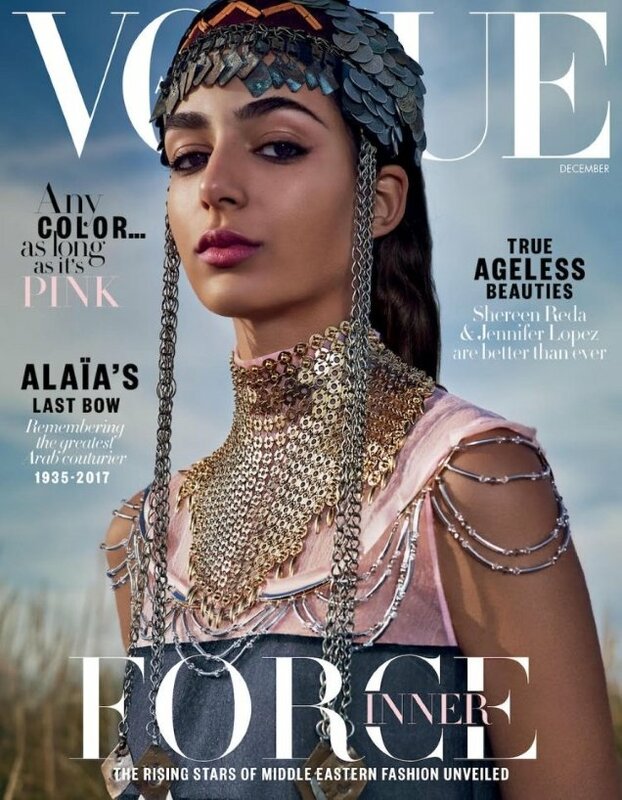 Photographed by Emma Summerton, the British model of Moroccan decent features on two covers, wearing Prada on one (below) and sporting Louis Vuitton on the other (after the jump). Naturally, when a magazine serves up two covers, only one is bound to stand out “Too much! I’m growing on Nora each time I see her work, and her beauty still come through here, but the styling and art direction is a bit excessive,” said Benn98 regarding the cover above. “The first one looks like a bad Star Wars cover for an entertainment magazine,” complained CrisGalaxy. “Nora is a knockout! Her brows are fantastic. And that commanding gaze. Love both covers. It’s nice too see a less homogenized, true to their culture, foreign edition representing. Vogue Arabia nailed the elements of fantasy and surprise which is sorely lacking in fashion these days,” voiced ellastica. “The second cover is divine,” gasped upzilicious. “I love both covers. The second especially, it’s so great,” favored mistess_f. “Second cover should have been the only cover! Is gorgeous all the way!” Legolas heralded. Lausanne shared everyone’s enthusiasm. “I love the combination of blue and pink so both covers work for me and Nora is a real beauty,” she complemented. Do you prefer the second cover or the first? Share your opinion here.